The fourth installment of the popular series by Rockstar features improved graphics, new features, and new gameplay. Players take on the role of Niko Bellic, a rough-around-the-edge chap from Eastern Europe. 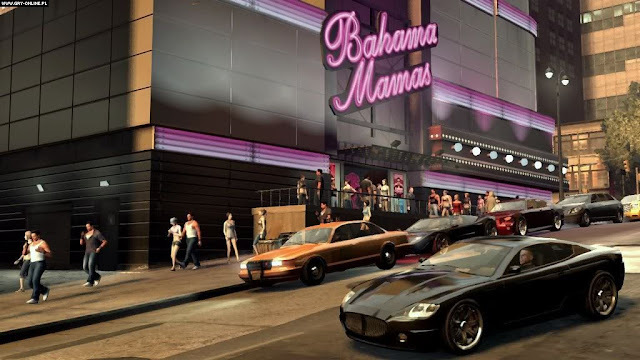 Niko has arrived in America, in Liberty City -- a land full of promise and opportunity. His cousin convinced him to emigrate, to join him in his mansion and life of luxury, but as soon as he steps off the boat, Niko discovers the truth about the American way. Still, the wealth, the comfort, the bliss of the good life, it all really is here ... And it's all for the taking. 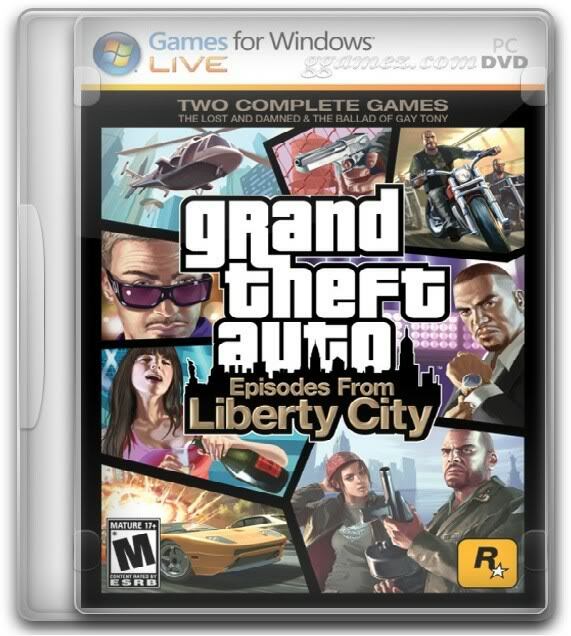 Get ready to experience the Liberty City of Grand Theft Auto IV on your PC like never before. 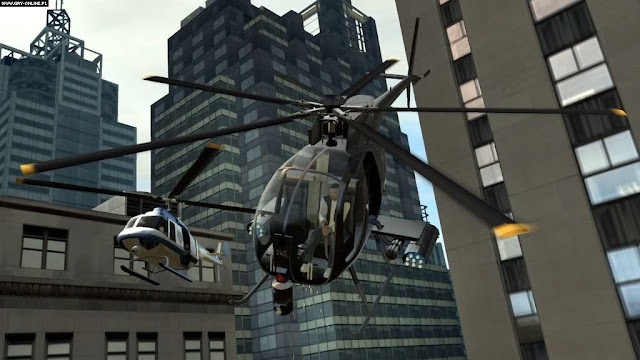 Originally created as supplemental episodic content for Grand Theft Auto IV, but not available to players on the PC platform, Grand Theft Auto: Episodes From Liberty City is now available to all pertinent platforms introducing new characters, new weapons, new online multiplayer challenges and two new stories. 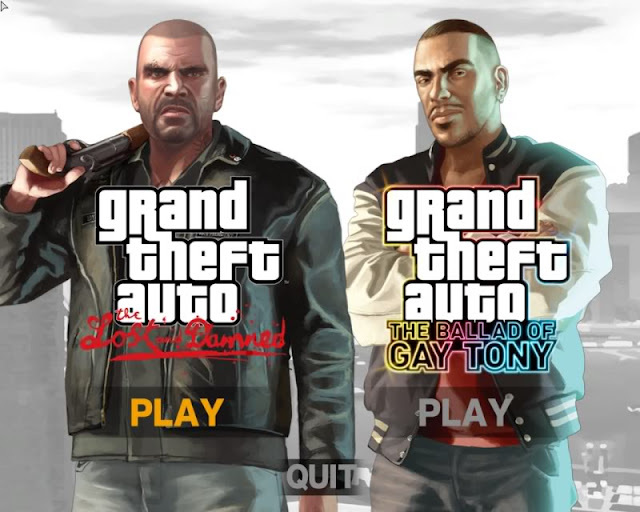 Available as two standalone games on one disc, these two episodes, The Lost and Damned and The Ballad of Gay Tony do not require the original GTA IV game disc to play. * Brings the interweaving Grand Theft Auto IV stories of Niko Bellic (main game), Johnny Klebitz (The Lost and Damned) and Luis Lopez (The Ballad of Gay Tony) to an explosive conclusion. * Contains The Lost and Damned and The Ballad of Gay Tony, on one disc. These were originally digital content releases for GTAIV that were unavailable to PC players. * Complete your Grand Theft Auto IV experience with powerful new weapons, vehicles, music, features and new mission types. * Each episode contains both a single player campaign as well as a variety of online multiplayer modes specific to the storyline of each.